One of the best ways to earn rapport with your customers is through online reviews. As a business, having reviews not only helps you connect with current customers, but it also helps you attract new ones, too. Research shows that 85 percent of consumers put as much trust into online reviews as they would a personal recommendation. With so much riding on your online reviews, it’s essential you learn to manage and encourage positive reviews. With these five tips, you’ll be earning more valuable feedback in no time. Racking up a slew of customer reviews may seem like an impossible task, but customers are actually quite willing to lend a helping hand. In fact, HubSpot found that 77 percent of consumers have shared positive experiences in the last year. If you haven’t done so already, be sure to claim your business profiles on Google, Facebook, Yelp, and any other applicable third-party sites. When a customer searches your business, you’ll want accurate information to appear in their search results. Setting up your business profiles also makes the review process easier on the customer with relevant links to mediums where they can leave feedback. Once you’ve acquired a few reviews, they’ll carry weight and appear in some of the top search results. You can even increase these reviews’ value by marking your best ones as “Helpful” in your Google reviews. Once customers have gone out of their way to review your business, be sure to return the favor. Replying to all reviews – both positive and negative ones – will validate the customers’ efforts and let them know you’re truly listening. 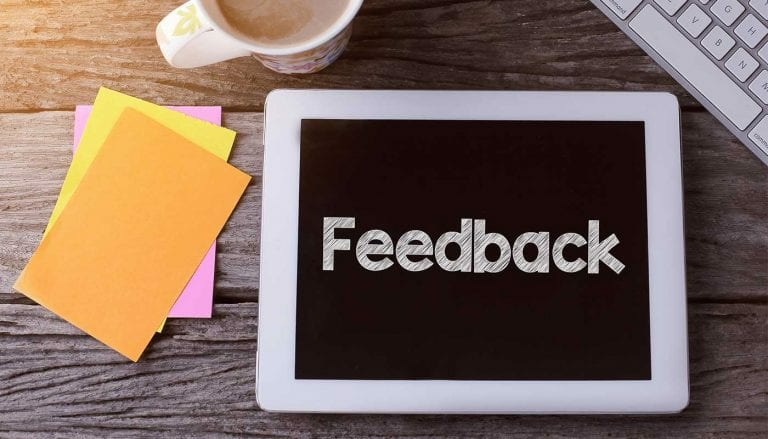 Google has recently updated how business owners respond to reviews in efforts to improve the overall conversation between businesses and consumers. For example, for positive reviews, be sure to thank the customer for their business. Let them know you’re thrilled they chose your product or service for fulfilling their need. For negative reviews, always thank the reviewer for the feedback and let them know you’ll keep their comments or suggestions in mind for future improvements. While it’s unrealistic to expect every customer to leave a review, those who do will surely appreciate an easy process. Though it’s not always possible for all brands, consider offering an incentive for those who leave reviews. Often, sweetening the deal for the consumer will be enough to get them to review your business. If your budget allows for it, consider offering a discount on a future product or service. For other options, explore the idea of holding a giveaway where one or more winners win a prize of your choosing for offering helpful feedback. If you’ve chosen to ask for reviews, either through email or in-person, be sure you’re doing so at the right times. For example, if you’d like a customer to review a product they recently purchased, be sure to wait at least a week before asking for feedback. Always allow enough time for the consumer to have realistically used or tried your product before you ask how their experience was. Asking for input at the right time will help increase your chances of receiving a helpful review. Still have more questions on review management? At Front Porch Solutions, our team has fine-tuned the process and can help encourage positive reviews for your brand. Get in touch with us to begin working on a solution today.